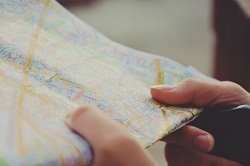 Does adding a location to your website improve local search? Does adding a location to your website increase your presence in local search? Though it may be hard to believe, many websites still fail to identify the physical locations of the businesses or bloggers associated with them. This is a major faux pas nowadays for a number of reasons. The major search engines are placing a growing importance on the use of NAP (name, address and location) when ranking sites in their results. Identifying your physical location on your site can have the following advantages. Every search engine customizes its results to some extent depending on the location of the searcher. While Google and Bing have gotten pretty good at figuring out the location of a webmaster based on page content, they’re not perfect. If searchers know that you’re in a particular jurisdiction such as a city or state, people that value local knowledge or expertise will naturally gravitate towards your domain. Unless you’re a social media marketing guru, it’s likely that the bulk of your traffic will come from organic search results. Even if you’re not running an e-commerce site or a page for a local bricks-and-mortar business, adding a location will boost your SERPs results for niche queries. If you dominate many small keyword niches specific to your area, your overall SEO strength in broad searches goes up. Few things hurt a small-time website more than a high bounce rate. If visitors expect one thing and get another when they visit your domain, they’ll quickly exit and go back to Google. Lowering your bounce rate will reduce server costs and improve ROI by increasing engagement. This can lead to greater revenues via advertisements, affiliate links and direct sales to customers looking for a site specific to your area. No matter what your niche may be, displaying a location on a site is a great way to attract international visitors. For instance, a website devoted to cooking with maple syrup is going to automatically command greater respect from searchers if the webmaster is based in Quebec. A site that focuses on surfing will have greater clout if the administrator is in southern California or Hawaii. On today’s crowded World Wide Web, standing out from the crowd is the name of the game. The easiest way to immediately differentiate yourself from other sites in your niche is to strongly identify with a specific place. Many casual visitors will associate your site with your location and hopefully become long-term fans. At the very least, identifying your location will help people to remember your domain. Using location keywords to make your site more prominent isn’t difficult if you follow a few simple rules. 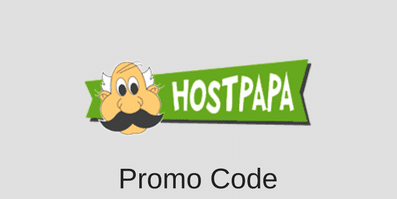 If at all possible, include your location within the site’s domain name. Furthermore, be sure to make numerous references to said location within the title, description and meta tags for your home page and any associated blog content. With a little luck, a focus on location can yield surprising dividends in time. This entry was posted in Articles on March 7, 2016 by WHR.